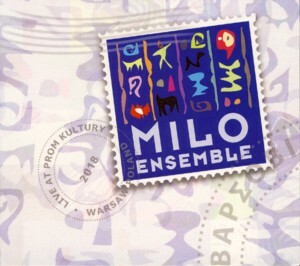 This is a live recording by an ensemble led by Polish multi-instrumentalist / composer / band leader Milo KurtisFind albums by this artist, which comprises of some of the top Jazz-World Music Fusion Polish or resident in Poland musicians: vocalist Rasm Al-MashanFind albums by this artist, oud player Mateusz SzemrajFind albums by this artist, kora player and vocalist Buba Badjie KuyatehFind albums by this artist, saxophonist Mariusz KozlowskiFind albums by this artist and percussionist Adeb ChamounFind albums by this artist. The album presents eight original compositions, five of which were composed by Kurtis, one was co-composed by him and Al-Mashan and one each composed by Kuyateh and Kozlowski. Kurtis, in addition to being a charismatic bandleader and a colorful personality has also a rare talent of gathering around him excellent musicians, amalgamating their often diverse backgrounds into a stylistic blend, which is simply much more than just a sum of its ingredients. This happened with the NaxosFind albums by this artist ensemble, in which some of these musicians were members, as well as in his earlier ensembles, and it applies to this one with the exact same efficiency. The music on this album combines many seemingly dissimilar World Music elements from Africa, Middle East and other sources, wonderfully weaving them together with Jazz improvisation, producing an irresistible and enchanted musical flying carpet ride. Each of the ensemble members represents a different aspect of the music and their cooperation, despite the short lived period of preparation, works like magic. Al-Mashan is a soulful vocalist, bringing to life the great tradition of female vocalists from the Arab World, like the diva Umm Kulthum, updating it to the contemporary World Music idiom. Szemraj is an oud virtuoso and he can easily stand shoulder to shoulder with Middle Eastern Masters of the oud. Kuyateh adds a wonderful color and tonal harmony to the proceedings, Kozlowski is the Jazz element and Chamoun superbly creates a polyrhythmic foundation, which keeps the music flowing. Kurtis, as usual, is in charge of the atmosphere and leads the ensemble firmly on track. Although Jazz-World Fusion music is quite popular in Poland and produces some excellent recordings, only a very few of those come close to the level of this album, which is full of spontaneity, happiness of making music and unpretentious but highly effective and honest music. Hopefully this ensemble will record a studio album sometime in the future, but in the meantime let´s feast on this little gem of an album, which proves that music is one and universal, that borders are meaningless and that good music goes directly to the heart of people! Don´t miss that one!